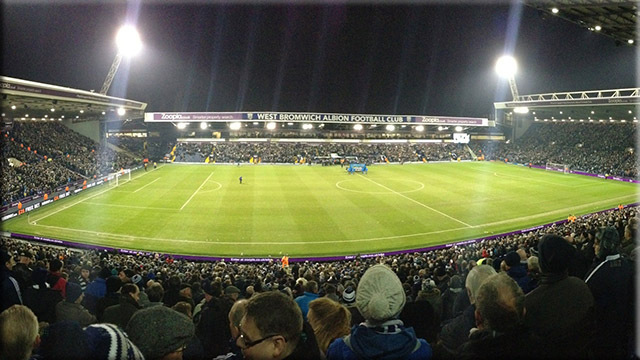 The Hawthorns is an all-seater football stadium in West Bromwich, Sandwell, England, with a capacity of 27,000. It has been the home of Premier League club West Bromwich Albion F.C. since 1900, when it became the sixth ground to be used by the club. The ground was the last Football League ground to be built in the 19th century. At an altitude of 551 feet (168 m), it is the highest ground among those of all 92 Premier League and Football League clubs. History The expiry of the lease on Stoney Lane, as well as the club's desire for a more spacious location, saw them move once again in 1900, this time permanently. All of Albion's previous grounds had been close to the centre of West Bromwich, but on this occasion they took up an "out of town" site on the borders of Handsworth. The area was covered in hawthorn bushes, which were cleared to make way for the new ground, hence its name, the Hawthorns. The club signed a lease for the land on 14 May 1900, giving them the option to buy within 14 years from the owner, Sandwell Park Colliery, and Albion did indeed buy the freehold on the ground in June 1913. When opened, the Hawthorns could hold around 35,500 spectators. The first match took place on Monday 3 September 1900, when Albion drew 1–1 with Derby County in front of a crowd of 20,104. Derby's England international Steve Bloomer scored the first Hawthorns goal, with Chippy Simmons equalizing for Albion. The first Saturday game followed soon after, with Albion losing out 0–1 to fierce local rivals Aston Villa in front of a capacity crowd, officially put at 35,417 but with many more forcing entry and an estimated 15,000 people locked out. The 1900–01 campaign was not a successful one however, as Albion finished bottom of the table and were relegated to Division Two. 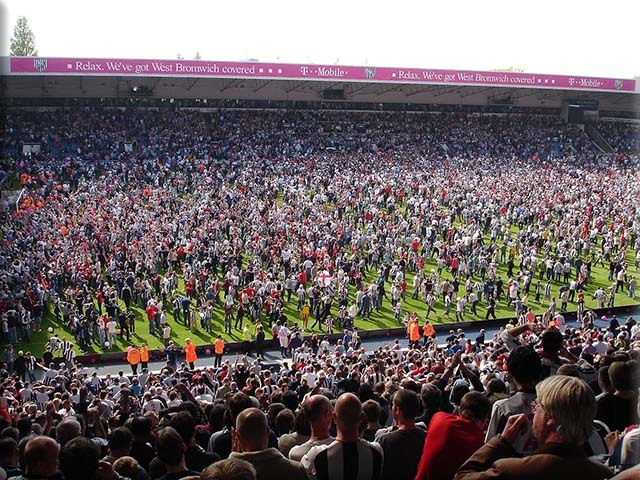 Their defeat to Sheffield United on the final day of the season was witnessed by just 1,050 spectators, which remains the record lowest crowd for a league game at the Hawthorns. The ground was gradually expanded and 1923 saw the first ever 50,000+ gate with 56,474 watching a 2–1 win in the cup against Sunderland. The first 60,000+ gate followed in 1925, with 64,612 fans watching a cup tie with arch-rivals Aston Villa. The all-time attendance record at the Hawthorns was set on 6 March 1937, when 64,815 spectators crammed in to see Albion beat hot-favourites Arsenal 3–1 in the FA Cup quarter-final. It is worth noting that this attendance was probably bettered, when Albion played Newcastle in a fifth round tie in 1954, when over 80,000 people turned up. The official crowd was put at 61,088. The highest ever league crowd was for a 1–1 draw 60,945 against Wolves on 4 March 1950. Concrete terracing was added to the ground in 1920. In 1949 the ground became the first in Britain to have an electronic turnstile aggregator fitted, in order to automatically calculate attendances. In 1957 electric floodlights were erected, at a cost of £18,000. The ground's first floodlit match saw Albion draw 1–1 with Chelsea, on 18 September 1957. Soon afterwards a friendly game against the Russian Red Army was organised to officially open them. Albion won 6–5 in front of 53,805 fans. The ground was once divided by the Birmingham/Smethwick border, but was moved completely into the latter by a minor rationalisation of local government borders in the 1960s and is now entirely in Sandwell. In 1964 the large Handsworth Side terrace was replaced by the Rainbow Stand at a cost of £40,000, reducing capacity to around 50,000. Over the following decades capacity was further reduced and perimeter fences were built to help tackle hooliganism. The Halfords Lane stand was rebuilt in two separate phases between 1979 and 1982, at a cost of around £2.5 million. By the early nineties the capacity had been slashed dramatically to just over 30,000 and the ground had become quite dilapidated. Following the Taylor Report, the ground became all-seated with first the Smethwick End and then the much-loved Birmingham Road End terraces being demolished and replaced by all-seater stands, giving it a capacity of more than 25,000. The official re-opening of the redeveloped ground saw Albion beat Bristol City 1–0 on Boxing Day in 1994. During the mid-late 1990s there were proposals for Moseley Rugby Football Club to share the ground, but these never materialised. Albion celebrated the stadium's centenary on 3 September 2000 by beating Crystal Palace 1–0 in a Division One match. In 2001 the Rainbow Stand was replaced by the new East Stand. In 2002, the Hawthorns became the first ground to install big screens in the widescreen format. The ground hosted its first Premier League match on 24 August 2002, with Albion losing 3–1 to Leeds United. Leeds player Harry Kewell scored the first Premier League goal on the ground. 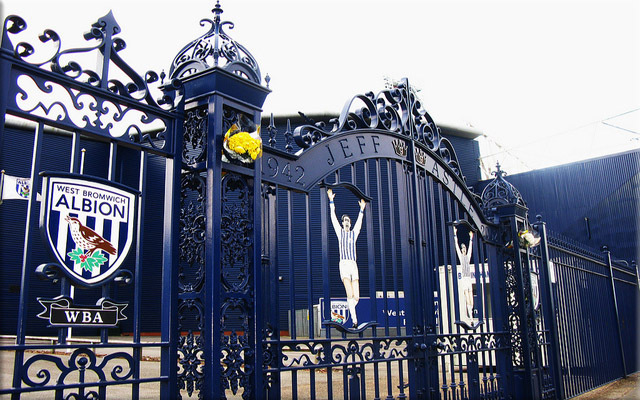 The Jeff Astle gates, which commemorate one of Albion's greatest strikers, were unveiled on 11 July 2003. The gates are located on the Birmingham Road, close to the Woodman Corner, and form the entrance to the East Stand car park. In December 2003, the board of directors unveiled plans to increase the stadium's capacity to 40,000 all-seated. However, these plans were scrapped as Albion slipped out of the Premiership in 2006. There had been plans for the Halfords Lane Stand to be rebuilt, but these were shelved due to what Albion chairman Jeremy Peace called "continuing levels of excess capacity". The stand was instead refurbished and became known as the West Stand, with the capacity reduced to 26,272. Plans were again announced to expand capacity after West Bromwich finished in their highest league position since 1983. The plans involved an increase of capacity to around 30,000 by 2014, regardless of league performance. Running along the west edge of the pitch and along Halford's Lane, the West Stand (formerly the Halford's Lane Stand) provided VIP seating before the advent of the new East Stand. The stand houses the main TV cameras as well as the press and commentary area. Chairman Jeremy Peace had announced that there are plans for the Halfords Lane Stand to be demolished to make way for a single-tier, 10,000 seated stand within the next five years. This would raise the total stadium capacity to around 33,000. However, since Albion's relegation from the Premier League and a drop in attendances, this plan has been shelved for the time being, although Albion did regain their top flight status in 2008. The stand has instead been refurbished, cutting capacity from 28003 to 26,272. Affectionately called the Brummie Road by supporters, the traditional Birmingham Road End runs behind the goal, adjacent to the A41. Traditionally it has always housed the core of the home support and was the main source of the so-called 'Albion roar. When a terrace, it traditionally held up to 14,000 passionate Baggies, but the stand which replaced it in 1994 holds over 8,000 all-seated spectators. Between this stand and the East Stand lies the Woodman corner, named after the Woodman pub which stood just behind it until its demolition in 2004. 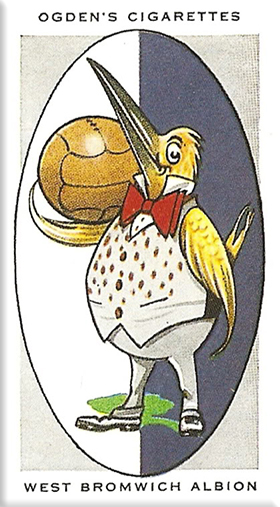 The Woodman corner is home to a large throstle mascot, which was originally perched above the old (terraced) Woodman corner, but was housed in the Halfords Lane stand for several seasons until the stadium redevelopments were completed. There are plans in place to expand the Woodman corner in the future. Running behind the goal at the southern edge of the pitch, the Smethwick End houses the away supporters though they are only allocated part of the stand, except for cup matches. The remainder houses the most vocal of the home support. (If and when the new west stand is completed there may be a chance of the Smethwick End going to the visitors). Replacing the old Rainbow Stand, the East Stand now houses the club's administration offices, club shop, club ticket office and corporate entertainment suites. The wings of the East Stand are known as the Woodman corner (which joins up with the Birmingham Road End, and is named after the Woodman public house that stood there until 2004) and the Millennium Corner (adjacent to the Smethwick End). Above the Woodman corner sits a giant effigy of a throstle, which had been a familiar feature of the ground for generations. It used to perch on the old scoreboard in the old (terraced) Woodman Corner; after the redevelopment of the ground in 1994 it was moved temporarily to the main stand in Halfords Lane, and it can now be seen back in its old position. The Rainbow Stand was built in 1964, originally known as the East Stand, but gained the name Rainbow Stand over the next few years owing to its brightly painted seats. It originally consisted of standing accommodation in the lower section and seating in the upper section. However, a refurbishment project in 1977 saw the terracing replaced by executive boxes and seating. It survived until 2000, when it was demolished to make way for the new stand which opened in the 2000–01 season. Previous Grounds During the early years of the club, West Bromwich Albion led something of a nomadic existence, playing at five different grounds in a 22-year period. Their first ground was Cooper's Hill, which the club occupied from 1878 to 1879. From 1879 to 1881 they played at Dartmouth Park, although they may also have alternated between there and Cooper's Hill during this period. Albion's third ground was Bunn's Field, also known as The Birches, where they played for a single season in 1881–82. With a capacity of 1500–2000, it was their first enclosed ground, allowing the club to charge an entrance fee for the first time. The increasing popularity of football led the well-established West Bromwich Dartmouth Cricket Club to rent their Four Acres ground to Albion from 1882 to 1885, but they quickly outgrew their new home and soon needed to move again. 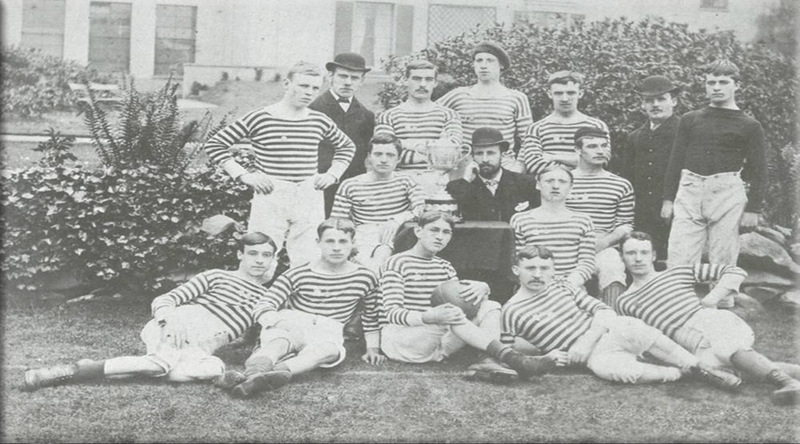 Albion's tenure of Stoney Lane, from 1885 to 1900, was arguably the most successful period in the club's history, as the club won the FA Cup twice and were runners-up three times. Cooper's Hill The club's first ground, Cooper's Hill was situated between Walsall Street and Beeches Road. The site is now occupied by St Philip's Church. Dartmouth Park From 1879 to 1881, Albion played additionally at Dartmouth Park, appearing to alternate between here and Cooper's Hill during this time. A local pub, the Globe Inn on Reform Street, served as the teams' changing rooms. Bunn's Field Albion's third ground was at Bunn's Field. The ground became known as The Birches, and the team played there for a single season in 1881–82. With a capacity of between 1,500 and 2,000, it was their first enclosed ground, allowing the club to charge an entrance fee for the first time. Four Acres The increasing popularity of football led the well-established West Bromwich Dartmouth Cricket Club to rent their Four Acres ground to Albion from 1882 to 1885. The cricket club allowed football to be played there only on Saturdays and Mondays. The ground was the venue for the biggest win in Albion's history, when on 11 November 1882 they beat Coseley 26–0. The record attendance at Four Acres was 16,393, for an FA Cup match between Albion and Blackburn Rovers in February 1885. Albion quickly outgrew their new home and soon needed to move again. The Four Acres ground is now Park Crescent, off Seagar St.
Stoney Lane Albion's tenure of Stoney Lane, from 1885 to 1900, was arguably the most successful period in the club's history, as the club won the FA Cup twice and were runners-up three times. The club built a wooden grandstand that became known as the "Noah's Ark". The stand had a capacity of over 2,000 people and was later transported to The Hawthorns when the club moved there in 1900. It was destroyed by fire on Guy Fawkes Night, 1904. The first league game at Stoney Lane took place on 29 September 1888, when Albion beat Burnley 4–3. The ground's record attendance of 20,977 was set in March 1895, for Albion's 1–0 victory over Wolves in the FA Cup third round. Albion played their last game at Stoney Lane on 16 April 1900, beating Nottingham Forest 8–0 in front of 5,187 spectators. The expiry of the lease on Stoney Lane, as well as the club's desire for a more spacious location, saw them move once again in 1900. They moved to The Hawthorns, which has been their home ground ever since. West Bromwich Albion have played in navy blue and white striped shirts for the majority of their existence, usually with white shorts and white socks. The team is occasionally referred to as The Stripes by supporters. A number of different colours were trialled during the club's formative years however, including cardinal red and blue quarters in 1880–81, yellow and white quarters in 1881–82, chocolate and blue halves in 1881–82 and 1882–83, red and white hoops in 1882–83, chocolate and white in 1883–84 and cardinal red and blue halves in 1884–85. The blue and white stripes made their first appearance in the 1885–86 season, although at that time they were of a lighter shade of blue; the navy blue stripes did not appear until after the First World War. For the regional leagues played during the Second World War, Albion were forced to switch to all-blue shirts, as rationing meant that striped material was considered a luxury. Like all football clubs, Albion sport a secondary or "change" strip when playing away from home against a team whose colours clash with their own. As long ago as the 1890s, and throughout much of the club's early history, a change strip of white jerseys with black shorts was worn. The away shirt additionally featured a large 'V' during the First World War. In the 1935 FA Cup Final however, when both of Albion and Sheffield Wednesday's kits clashed, a switch was made to plain navy blue shirts. An all-red strip was adopted at the end of the 1950s, but was dropped following defeat in the 1967 League Cup Final, to be replaced by the all-white design that was worn during the club's FA Cup run of 1967–68. Since then the away strip has changed regularly, with yellow and green stripes the most common of a number of different designs used. In the 1990s and 2000s a third kit has occasionally been introduced. Albion players—along with those of other Football League teams—first wore numbers on the back of their shirts in the abandoned season of 1939–40, and names on the back of their shirts from 1999–2000. Red numbers were added to the side of Albion players' shorts in 1969. BSR Housewares became the club's first shirt sponsor during the 1981–82 season. The club's shirts have been sponsored for the majority of the time since then, although there was no shirt sponsor at the end of the 1993–94 season, after local solicitors Coucher & Shaw were closed down by The Law Society. Unusually for a Premier League club, Albion were again without a shirt sponsor for the start of the 2008–09 campaign, as negotiations with a new sponsor were still ongoing when the season began. The longest-running shirt sponsorship deal agreed by the club ran for seven seasons between 1997 and 2004 with the West Bromwich Building Society. Since May 2011, West Brom's kit has been manufactured by Adidas, who are contracted until 2016. 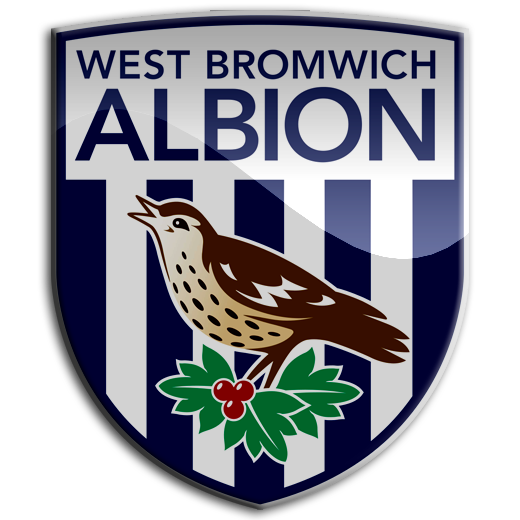 West Bromwich Albion Football Club also known as West Brom, The Baggies, The Throstles, Albion or WBA, is an English professional football club based in West Bromwich in the West Midlands. The club was formed in 1878 and has played at its home ground, The Hawthorns, since 1900. Albion were one of the founding members of The Football League in 1888 and have spent the majority of their existence in the top tier of English football. They have been champions of England once, in 1919–20, but have had more success in the FA Cup, with five wins. The first came in 1888, the year the league was founded, and the most recent in 1968, their last major trophy. They also won the Football League Cup at the first attempt in 1966. The club's longest consecutive period in the top division was between 1949 and 1973, and from 1986 to 2002 they spent their longest ever spell out of the top division. The 2014–15 season is their ninth season in the top flight since 2002. The team has played in blue and white stripes for most of the club's history. Albion have a number of long-standing rivalries with other West Midland clubs; their traditional rivals have always been Aston Villa, though rivalry also exists with Wolverhampton Wanderers, with whom they contest the Black Country derby. The club were founded as West Bromwich Strollers by workers from Salter's Spring Works in West Bromwich, and were renamed West Bromwich Albion in 1880. The club have played their home games at The Hawthorns since 1900. Albion were one of the founding members of The Football League in 1888 but have won the league title only once, in 1919–20. They have had more success in the FA Cup, with five wins. The first came in 1888, the year the league was founded, and the most recent in 1968, their last major trophy. They also won the Football League Cup at the first attempt in 1966. Since the early 1980s the club has been less successful. From 1986 to 2002 they spent their longest ever period out of the top division, although there has been something of a revival in recent years, with three seasons spent in the Premiership between 2002 and 2006. The club was founded in 1878 as West Bromwich Strollers in West Bromwich, then in Staffordshire but now part of the West Midlands administrative county. The team played their first match on 23 November 1878, drawing 0–0 in a 12-a-side game against workers from Hudson's, a local soap factory. Most of the Strollers players worked at George Salter's Spring Works; many were keen cricketers and were looking for a sport to play during the winter months. The 'Strollers' name came about because there were no footballs on sale in West Bromwich, so a walk to nearby Wednesbury was necessary in order to buy one. 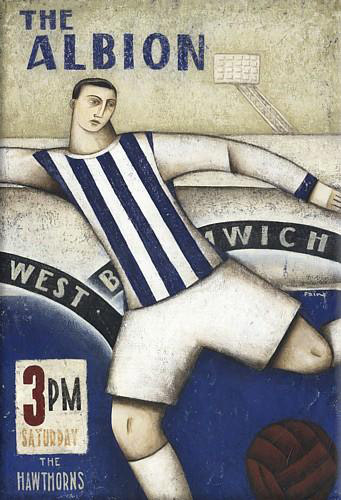 They were renamed West Bromwich Albion in either 1879 or 1880, becoming the first team to adopt the Albion suffix. Albion was a district of West Bromwich where some of the players lived or worked, close to what is today Greets Green. For the first two seasons of their existence, Albion played local sides on parks pitches throughout West Bromwich, Smethwick and Wednesbury, occasionally travelling as far afield as Stourbridge to get a game. The real breakthrough came at the start of the 1881–82 season, when they decided to pay a subscription to join the Birmingham & District Football Association, thus becoming eligible for their first competition, the Birmingham Senior Cup. It was their run to the quarter finals of that tournament — beating, as they did, established sides such as Elwells FC (from Wednesbury) and Calthorpe (Edgbaston) — that made their name in the Birmingham press. Suddenly, the local papers began to take notice of the club, and began reporting on their games. By 1882 they had also joined the Staffordshire FA, and after another good run in the Birmingham Cup, they won the Staffordshire Cup — their first trophy — by beating Stoke 3–2 at the Victoria Ground. That was the catalyst for national success. At that time, every county had its own cup competition, and the various cup holders were welcome visitors all around the country; so it was that Albion began to arrange choice fixtures against the likes of Preston North End, Bolton Wanderers, Blackburn Rovers, and Wrexham. They also moved ground. They had spent a season in their own enclosure, The Birches, but the drainage there was poor and so the club rented Four Acres from their former rivals, West Bromwich FC, where they would remain for three years. The conditions of the lease allowed them to play home games on Saturdays and Mondays only, but not in the summer as the ground was used then by the Dartmouth Cricket Club. They also entered the FA Cup for the first time in the 1883–84 season. In 1885 the club turned professional, and in 1886 reached the FA Cup final for the first time, losing 2–0 to Blackburn Rovers. In 1887 they reached the final again, but lost 2-0 to Aston Villa. In 1888 they went one better and won the trophy for the first time, beating strong favourites Preston North End 2–1 in the final. Of all the clubs that went on to join the Football League, only Blackburn Rovers and Aston Villa had also won the FA Cup previously, and were the two clubs that had beaten Albion in their first two finals. In March 1888, William McGregor wrote to what he considered to be the top five English teams, including Albion, informing them of his intention to form an association of clubs that would play each other home and away each season. Thus when the Football League started later that year, Albion became one of the twelve founder members. Albion's second FA Cup success came in 1892, beating Aston Villa 3–0. They met Villa again in the 1895 final, but lost 1–0. The team suffered relegation to Division Two in 1900–01, their first season at The Hawthorns, but were promoted as champions the following season, when Chippy Simmons was the leading goalscorer in Division Two. Albion secretary Frank Heaven resigned in May 1902, and was replaced by 19 year-old Fred Everiss, who remained in the post of secretary-manager for 46 years. The team performed well on their return to Division One, topping the league for a large part of the season, but their title hopes were ended by a run of 11 games without a win—including eight straight defeats—and they finished seventh. Disagreements in the boardroom in the summer of 1903 led to the resignation of three directors, including chairman Harry Keys. Albion won just seven league games in 1903–04, and were again relegated as the First Division's bottom club. This time there was no quick return as the club finished tenth in Division Two, three points clear of having to apply for re-election. The 1905–06 season saw a marked improvement, with a 16-match unbeaten run between October and January helping the team to a 4th place finish. In 1906–07, Fred Shinton finished as top scorer in Division Two, with 28 league goals. They won the Division Two championship once more in 1910–11, and the following season reached another FA Cup Final, where they were defeated by Second Division Barnsley in a replay. The war-time diaspora of a promising young team did not stop individuals from playing football in charity matches, amateur teams and regional leagues. Albion won the Football League title in 1919–20 for the only time in their history following the end of the First World War, their totals of 104 goals and 60 points both breaking the previous league records. Fred Morris was the league's top goalscorer, finding the net 37 times. The team finished as Division One runners-up in 1924–25, narrowly losing out to Huddersfield Town. The same season and then-record crowd of 64,612 turned out to see Albion take on arch-rivals Aston Villa in the cup. The success wasn't sustained however, and the club were relegated in 1926–27. The following season, Jimmy Cookson scored 38 league goals to finish as Division Two's top scorer. Albion scored a club record 105 league goals in 1929–30, but could only finish sixth in Division Two. In 1930–31 they won promotion to Division One. 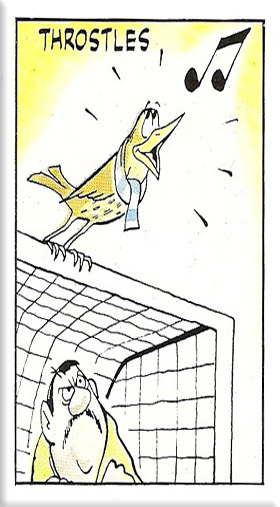 Only the goal-scoring exploits of Dixie Dean of Everton deprived Albion of the Second Division championship. In the same season they also won the FA Cup, beating local rivals Birmingham 2–1 in the final. The "Double" of winning the FA Cup and promotion has not been achieved before or since. Albion reached the final again in 1935, losing to Sheffield Wednesday. In 1935–1936 prolific striker W. G. Richardson scored 39 league goals, still a club record. Albion reached the FA Cup semi-final in 1937, beating Arsenal 3-1 in the quarter final in front of a record 64,815 fans. However, they lost 4–1 to Preston North End, although the Albion players were clearly affected by the death of chairman and former player Billy Bassett two days before the game. 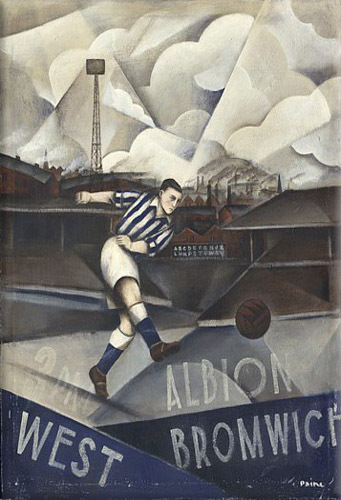 The following season, 1937–38, Albion were relegated to Division Two. With the 1939–40 season only a few games old, the Second World War broke out and football was suspended. Once normal league competition was resumed in 1946 (the 1945–46 season had been organised on a regional basis) Albion remained in the Second Division. The turning point arrived with the retirement of Fred Everiss in 1948. Unlike most other contemporary clubs, Albion had yet to implement the modern role of coach or manager. Everiss, who was the club's administrative secretary, delivered the pre-match talk; the board of directors, which had replaced the old Club Committee, selected the team. Kicking a football played no part in training, which was for fitness alone. Albion's first modern manager was Jack Smith, who led the team to promotion in 1948–49. There followed the club's longest unbroken spell in the top flight of English football, a total of 24 years. A talented new squad started to develop, marked by the arrival of Ronnie Allen in 1950, scoring against Wolverhampton Wanderers F.C. on his home debut in front of a crowd of 60,945. However, the board were frustrated by the lack of trophies and Smith was dismissed in 1952. Radically, Smith was replaced by Juventus F.C. coach Jesse Carver who introduced football into training. Though Carver was soon to be seduced back to Italy by S.S. Lazio, (although domestic household pressures were a paramount factor) his eight months in charge were a defining moment for the club. His replacement, Vic Buckingham, recruited from the amateur leagues, inherited an intelligent, well-co-ordinated team, playing a flowing style of attacking football that he was to build upon. In 1953–54 Albion had their most successful ever season, coming agonisingly close to being the first team in the 20th century to win the League and Cup double. They topped the league for most of the season but a loss of form towards the end of the season meant that they finished as runners-up to fierce rivals Wolves in the league. Albion did however win the FA Cup, beating Preston North End 3-2 in the final. After beating Chelsea and Rotherham they faced Newcastle United in Round 5, winning 3-2 in front of 61,088 fans crammed into the Hawthorns - over 20,000 more were locked out. Spurs were beaten in the quarter-final and then Albion edged past Staffordshire rivals Port Vale at Villa Park in the semi-finals. Albion had become known for their brand of fluent, attacking football, with the 1953–54 side being hailed as "The Team of the Century". One national newspaper went so far as to suggest that the team be chosen en masse to represent England at the 1954 World Cup finals. Later in 1954 Albion played in 'Le Soir Festival de Football', losing 5-3 to Hungarian side Honved in Brussels. Ronnie Allen was the leading Division One goalscorer for 1954–55, scoring 27 league goals. However, in the next few years some disappointing league positions followed. In 1957 Albion reached the cup semi-finals but lost out to arch-rivals Aston Villa. That year they also became the first British professional team to win a game in the Soviet Union, at that time firmly under the Iron Curtain. They played three games, drawing against FC Zenit in Leningrad (Russia) and beating Dynamo Tbilisi (Georgia) and the Soviet Army side, CSKA Moscow (Russia). The Soviets were invited back to England in October and Albion beat the Soviet Central Army 6-5 in front of 53,805 fans. The 1950s also saw the arrival of players Don Howe, Derek Kevan and Bobby Robson. In the season 1957-58, Allen, Kevan and Robson scored 78 goals between them. Despite never matching their achievements of 1953–54, Albion remained one of the top English sides for the remainder of the decade, achieving three consecutive top five finishes in Division One between 1957–58 and 1959–60. Following Buckingham's departure to Ajax in 1959 the club saw another decline, although Derek Kevan's 33 league goals in 1961–62 saw him finish as joint-top goalscorer in the First Division, alongside Ray Crawford of Ipswich. Jimmy Hagan was recruited to arrest Albion's slide in 1963. In September 1964 a young striker was signed from Notts County F.C. who, over the next decade, was to become the club's most iconic player ever: Jeff Astle. The club was already feeling the effects of the dramatic social changes of the 1960s, in the form of falling attendances and the end of the players' maximum wage. Hagan, despite the spirit of the times, was a martinet on the training ground and frequently bred conflict with a playing squad that was beginning to enjoy the new economic and social freedoms. However, he shrewdly built the team in personnel and skill, leading them to a League Cup triumph in 1966 as Albion (in their first League Cup appearance) beat West Ham 5–3 on aggregate in the last two-legged final. During this time the club's attack was built around the strike duo of Astle and club-record goalscorer Tony Brown, with Bobby Hope prompting from midfield and Clive Clark on the wing. The following season was a hollow disappointment, with Albion losing in the final of the League Cup to Third Division Queens Park Rangers F.C. (losing 3–2 after being 2–0 up at half-time), making an early exit from their first European campaign and struggling to maintain their place in the First Division. Had Hagan had more friends at the Hawthorns, he might have been given time to fix the problems but, in 1967, he was replaced by Alan Ashman. Ashman led Albion to their fifth FA Cup victory in 1968, Astle, now known to fans as 'The King' becoming the first player to score in every round of the competition. After beating Colchester, Southampton, Portsmouth and Liverpool in the earlier rounds, Albion then knocked out rivals Birmingham City 2-0 at Villa Park. They then defeated favourited Everton 1-0 in the final, thanks to an extra-time Astle goal. They then defeated including the only goal of the final against Everton. Albion also defeated the newly crowned European Champions Manchester United 6–3 at the Hawthorns in front of an estimated 55,000 fans. In 1969 Albion again reached the FA Cup semi-finals but narrowly lost out to Leicester City. The following year the club reached the League Cup final again but lost out to Manchester City 2–1. In the same season, Jeff Astle became the first man to score in both an FA Cup and League Cup final. He also finished as the First Division's leading scorer, an achievement matched by his team mate Tony Brown in 1970–71. Former Albion player Don Howe replaced Ashman as manager in 1971. Howe had just coached Arsenal F.C. to the League and Cup double and was regarded as one of the game's foremost theoreticians, but he was unable to prevent Albion's relegation to the Second Division in 1973. Failure to achieve promotion back the following season and the departure of Astle in 1974 seemed to presage a gloomy future, and cost Howe his job. In his place, the club were able to secure the services of player-manager Johnny Giles. Giles was an instant hit and Albion clinched promotion at Oldham on the final day of the 1976 season in front of an army of more than 15,000 fans. However, he then dropped a bombshell on the club by submitting his resignation in order to give more attention to his other job, manager of the Irish national team. The board was able to persuade Giles to stay on for another year however, and he led them to a comfortable finish back in the First Division, after which the club reluctantly let him go. After being turned down by Lincoln manager Graham Taylor, the club appointed Ronnie Allen as Giles' successor. Allen led the club to a brilliant start to the season, but following a row over both transfer funds and his own pay packet, accepted an offer to manage in Saudi Arabia and left after only five months. When a relatively unknown young manager named Ron Atkinson arrived at the club in 1978, he inherited a team that already included youth-team graduate Bryan Robson and Derek Statham, Ally Robertson as well as the black pair of Laurie Cunningham and Cyrille Regis, both acquired inexpensively from lower divisions. Aware that he had the makings of a great team, Atkinson augmented it by bringing Brendan Batson from his former club Cambridge United F.C. Never before had an English team simultaneously fielded three black players, and the Three Degrees, as they became known (in reference to the contemporary vocal trio of the same name), challenged the established racism of English football. Their success in the Albion side marked a watershed that allowed a generation of footballers to enter the game who would previously have been excluded by their ethnic background. Albion reached the 1978 FA Cup semi-final but lost to Ipswich Town. In May 1978, Albion became the first British professional team to play in China. Their three-week tour, comprising four matches, was covered by the BBC TV documentary Albion in the Orient. The team challenged for the Division One title in 1978–79 but a huge pile up of fixtures and an end of season slump meant that Albion slipped to third, losing the title to Liverpool. It was nevertheless their highest league finish for more than 20 years. Albion also reached the UEFA Cup quarter-final, where they were defeated narrowly by Red Star Belgrade. Many Albion fans consider the highlight of the season to have been the famous 5-3 victory away at Manchester United. This was the last time, to date, that an away team scored five goals at Old Trafford. Other great victories that season included a 2-0 win over Valencia at a packed Hawthorns and a 7-1 thrashing of Coventry. Atkinson's team played some of the most exciting football in England during his term at the club but, as early as 1979, the board allowed the playing talent to start slipping away; Cunningham's move to Real Madrid (for a record fee) marked the start of the trend. The club managed 3rd and 4th places in the First Division, and twice reached the semi-finals of the FA Cup, but trophies continued to elude them. In 1979, the club signed Peter Barnes and Gary Owen from Manchester City. Following the death of director Tom Silk in a plane crash, the club fell again under the conservative leadership of Bert Millichip. Atkinson, despairing of the support he needed to build and maintain a winning team, took the vacant manager's post at Manchester United F.C. in the summer of 1981. The surprise choice to replace Atkinson was Ronnie Allen, returning for a second spell in charge. When Atkinson made a bid to take two of the club's prize assets, Bryan Robson and Remi Moses, to his new club for a combined fee of £2.5million, the board immediately encouraged Allen to sell. Their replacements were Romeo Zondervan, Martin Jol and Andy King; for a while things looked rosy, as Albion reached the semi-finals of both domestic cups. At the time, although the record has now been surpassed by Manchester United, Arsenal, Everton & Liverpool, Albion had reached the semi-finals more times than any other club. But the usual post-Christmas slump left the side needing to win its final home game, against Leeds United, to stay up; the game was won 2–0, and Leeds were relegated instead. The game was unfortunately marred by hooliganism. At the end of the season, Allen was 'kicked upstairs' and Coventry City coach Ron Wylie took over. He halted the slide, for a while, but resigned in 1984 after falling out with his head coach, Mick Kelly, and his players. A trio of high-profile names was recruited to take over: Johnny Giles, Norman Hunter and Nobby Stiles, and hopes were high; but their first game in charge—at home to Third Division Plymouth Argyle, in the FA Cup—resulted in defeat. "The A Team", as the management trio were known, reversed the sinking trend in the 1983–84 season and things improved the following year. Albion's financial difficulties however forced Giles to sell players to lighten the wage bill, beginning with Cyrille Regis, and the replacements were generally inadequate. By October 1985 it was looking grim; Giles resigned, and his assistant (also his brother-in-law), Nobby Stiles, reluctantly took up the reins. Stiles lasted only a few months before being replaced by Ron Saunders. By this time, Albion were bottom of the table, and were eventually relegated with the worst record in the club's history. The Albion directors kept faith in Saunders after their relegation and he tried to put the club back on track by building a new team. But these changes did little to halt the rapid decline at the Hawthorns and he was sacked after they finished in the bottom half of the Second Division in 1987. Atkinson returned to Albion in the summer of 1987 and halfway through his second season at the club they led the Second Division table, looking all set for promotion. But Atkinson was lured away to Atlético Madrid and midfielder Brian Talbot, 35, took over as player-manager. Talbot was unable to maintain Albion's good form and they were unable to claim even a playoff place at the end of the 1988–89 season. 1989–90 brought even more frustration as Albion finished 20th in the Second Division - their lowest final position up to that time. The Albion board finally lost patience with Talbot in January 1991 after they lost 4–2 at home to non-league Woking in the Third Round of the FA Cup. He was replaced by Bobby Gould, who was unable to prevent Albion from being relegated to the Third Division for the first time in their history. Albion just missed out on the Third Division playoffs in 1992, and shortly afterwards Bobby Gould moved to Coventry City. His successor was Ossie Ardiles. Ardiles was in charge at Albion for only one season, before being lured away by Tottenham, but he guided them to promotion: a 3–2 aggregate win over Swansea City in the playoff semi-final set Albion up for their first appearance at Wembley for over twenty years (and their last ever at the original stadium), when they beat Port Vale 3-0, in front of 43,000 of their own fans. Bob Taylor's 30 league goals made him the top scorer in Division Two. Following Ardiles' surprise departure, Albion promoted his assistant Keith Burkinshaw to the manager's seat. Albion survived relegation back to Division Two at the end of 1993–94, but only because they had scored more goals than rivals, Birmingham City. Safety was assured on the final day thanks to a 1-0 win over Portsmouth - Lee Aschcroft's goal sending the 10,000 strong army of fans in raptures. Burkinshaw was however sacked soon after that, and replaced by Alan Buckley. Albion's form under Buckley was consistently below average, but just enough to avoid relegation. In October 1995 they were second in Division One and hopeful of automatic promotion, but then came a drastic loss of form which saw them lose 13 games, draw one and win none: one point out of a possible 42. They looked set to be relegated to Division Two, but a big improvement in form during the final four months of the 1995–96 season saw them climb to mid table. Later during the season, the club signed Richard Sneekes from Bolton. He would prove an instant hit and a cult figure with the fans. Buckley was sacked in January 1997 and replaced by Ray Harford, who led Albion to Division One safety in 1996–97, and in the first few months of the following season the side established itself in the top six. Harford then stunned Albion by moving to QPR after less than a year in charge, making way for Denis Smith, who struggled to maintain the momentum created by Harford, and Albion could only finish 10th. In 1998–99, local-lad and lifetime fan Lee Hughes scored 31 times in the league to finish as top goalscorer in all four English divisions, but Albion finished only 12th and Smith was sacked in the summer of 1999. His successor Brian Little failed to make any progress at The Hawthorns and was sacked in March 2000, with Albion in real danger of relegation. Gary Megson was named as the new West Bromwich Albion manager in March 2000, and his arrival at the club heralded a revival of Albion's fortunes. Megson quickly signed several new players as the transfer deadline approached, including veteran striker Bob Taylor, who returned for his second spell at the club. A 2–0 win over champions Charlton Athletic on the last day of the season meant that Albion remained in Division One while rivals Walsall were relegated. Megson's rejuvenation of the side continued in 2000–01, as Albion finished sixth, their highest league finish since relegation in 1986. They qualified for the Division One promotion playoffs, where they faced Bolton Wanderers in the semi-finals. The first leg finished 2–2 after Albion had led 2–0. Bolton won the second leg 3–0 to reach the final 5–2 on aggregate. In 2001–02 Albion reached the FA Cup quarter-finals, their best run in the competition for 20 years, eliminating Premiership sides Sunderland and Leicester City along the way. In the league meanwhile, the team were 11 points behind neighbours Wolves in the Division One table with eight matches left to play. Albion won seven and drew one of their remaining fixtures, including the notorious Battle of Bramall Lane, to overtake their rivals. Automatic promotion — as runners-up to Manchester City — was secured on the final day of the season in a 2–0 home win against Crystal Palace. Chairman Paul Thompson left the club several days later, following disagreements with manager Megson, and was succeeded by Jeremy Peace. Albion won just six games in their first Premiership campaign and were relegated. In the 2003–04 season Albion had their best League Cup run for 22 years, beating Newcastle United and Manchester United before losing to Arsenal in the quarter-finals. In the league the team remained in the top two from mid-October until the end of the season, winning promotion back to the Premiership, again as runners-up, at the first attempt. The club won just one of their first 11 games of 2004–05, and Gary Megson was sacked in October after announcing that he would not be renewing his contract when it expired at the end of the season. He was succeeded the following month by legendary former Albion midfielder Bryan Robson, but the team failed to win a game under the new manager until January 2005. Results improved over the remainder of the season and with one game to play Albion were bottom of the Premiership, but only two points below Norwich City who were 17th. On the last day of the season, Albion beat Portsmouth 2–0, while Crystal Palace, Norwich and Southampton all failed to achieve the results they needed. Albion therefore became the first team in the history of the Premiership to avoid relegation after being bottom at Christmas, although their total of 34 points was the lowest by any team to avoid relegation frm the Premiership. Albion failed to avoid the drop in the 2005–06 season, despite home wins over Everton, Arsenal and Spurs. They were relegated to The Championship following Portsmouth's 2–1 victory over Wigan Athletic. Robson left the club "by mutual consent" in September 2006 and by was replaced the following month by Tony Mowbray. In Mowbray's first game in charge, The Baggies beat Wolves 3–0, their biggest win over their rivals for over 25 years. Albion briefly led the Championship on goal difference in February, but indifferent form over the remainder of the season meant that automatic promotion was out of reach. A 7–0 victory over Barnsley on the final day of the league season secured a place in the play-offs, where they met Wolves again in the semi-finals. Albion won the first leg 3–2 at Molineux, while in the second leg at The Hawthorns Albion won again, 1–0. This booked them a place in the final at Wembley Stadium against Derby County, but Albion lost 1–0. In 2007–08 West Brom reached the FA Cup semi-finals for the first time since 1982, but lost 1–0 to Portsmouth at Wembley Stadium. The crowd of 83,584 was the highest ever for an FA Cup semi-final. A month later they won a third promotion to the Premier League by winning the Football League Championship. However, the next year they were relegated again and Tony Mowbray left to manage Celtic. Roberto Di Matteo was appointed as the new manager and after a successful season Albion were yet again promoted to Premier League. Roberto Di Matteo was then sacked in February 2011 and replaced with Roy Hodgson. On 29 April 2012, it was reported that Hodgson was approached by the FA for the vacant England manager job. He was appointed as England manager two days later but continued to manage West Brom until the end of the 2011–12 Premier League campaign, guiding the club to a tenth-placed finish, West Brom's highest top flight finish since 1981. Steve Clarke then led Albion to an 8th place finish in 2012–13, their highest in the Premier League, but was sacked during the following season after four consecutive league defeats and only winning 7 league games throughout the calendar year. Clarke was replaced by Alan Irvine. On 14 June 2014 West Bromwich Albion announced that Irvine would fill their vacant Head Coach role on a 12-month contract, his first management work in the Premier League. Irvine then got his first win with West Brom against Tottenham Hotspur F.C. on 21 September 2014 in a 1–0 victory. Alan Irvine was sacked on 29 December 2014 following 7 defeats in 9 games and only 4 wins in 19 games. On 1 January 2015, Tony Pulis was appointed head coach. He won his first game in charge 7–0 against Conference Premier side Gateshead in an FA Cup third round match. Pulis was sacked as West Brom manager on 20 November 2017 after a bad run of results. On Wednesday 29th November 2017, West Brom hired manger Alan Pardew on a 2 1/2 year deal. On 2 April 2018, West Bromwich Albion and Pardew mutually parted company after he had been manager for four months. At the time Albion had gone 10 games without a win, were on a run of eight successive defeats and were bottom of the Premier League. 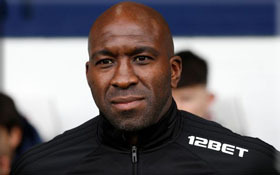 On 2 April 2018, following the dismissal of Alan Pardew, Darren Moore was appointed as caretaker manager of Premier League club West Bromwich Albion. Despite a good run of form under Moore, West Brom were relegated after eight seasons in the Premier League. On 18th May 2018, West Brom announced Darren would take over officially as their new manager / Head Coach. On Saturday 9th March 2019, West Bromwich Albion announced that Moore had been sacked, citing poor results, despite their being 4th in the Championship table. The chief executive, Mark Jenkins, told the club’s website: “This has been an enormously difficult decision for a club which will always hold Darren in such high regard. He took over at a very difficult time last season and reunited the club, a contribution that will never be forgotten.